Ever since I bought the iPhone 6 Plus, I’ve found myself using it much more than I’ve ever used any of my previous phones. Just like any other developer (or business for that matter) I use twitter for a multitude of projects and have to manage multiple accounts at once. That’s why neither the official Twitter app nor the website cut it for me. Tweetbot, my Twitter client of choice, has been on my iPad ever since I bought my first one. It’s my weapon of choice when it comes to crafting new tweets, responding to others and keeping an eye on what’s happening ‘out there’. Compared to the iPad version, Tweetbot for iPhone is a much nicer, cleaner and overall even better user experience. It’s easy to grasp how to use it, it’s lightning fast and very stable. If you’re ever on the lookout for a Twitter client for your business: search no more. 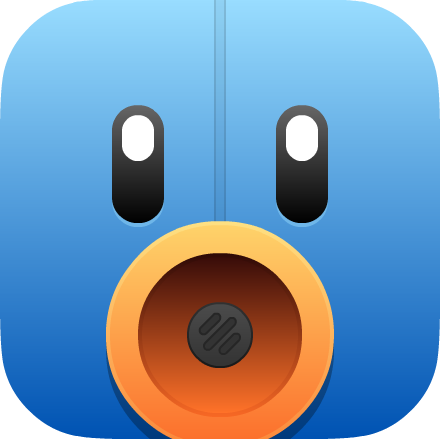 Tweetbot is the perfect choice for this task and well worth its money. During the workday, I listen to podcasts versus listening to music to keep up to date with technology news and learn new facts about my interests. One of my most listened to podcasts that is currently airing on the 5by5 network, and I have many on this network, is the Homework podcast. Homework, in its simplest form, gives tips and tricks of working from home. As a power user in your business or company, the questions that Aaron Mahnke and Dave Caolo answer are pertinent not only to people working from home but also to people who are working within a larger company. The topics are always timely with what is currently occurring in the workplace and they also cover topics that are a recurring theme. If you are running a business, working from home, a “cog” in a larger company, the topics that are covered in this podcast will assist you in your tasks. Everything from charging what you are worth to dealing with problematic customers is covered in the show in an easy to understand fashion. There is a bit of gaming talk in the podcast, but, in my opinion, it is bearable and you can always skip past those portions. What are you waiting for, go do your Homework!